If you want to protect your trip but are wondering when’s the best time to buy travel insurance, the easy answer is “right away.” But depending on your travel style and the type of coverage you’re looking for, you can buy travel insurance almost up until the moment your flight takes off. The best time to buy travel insurance is within 15 days of making the first deposit on your trip, since buying early can often qualify you for bonus coverages. However, many plans let you buy coverage up until the day before you leave. Just make sure you understand what is and isn’t covered if you don’t purchase within that 15-day window of making your initial trip deposit. 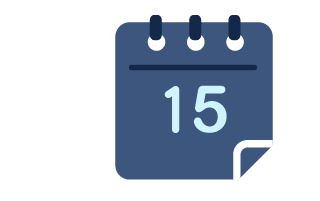 The 15-day window (or the policy’s specified timeframe) applies to your specific policy. Buying travel insurance within 15 days of making your first trip deposit sounds arbitrary, but here’s why it’s a smart move. If you don’t buy travel insurance right away, you might forget to buy it completely. By offering bonus coverages if you buy within the 15-day window, travel insurance companies are ensuring you don’t forget this important piece of your overall trip experience. Buying travel insurance early means you can cross off one more to-do from your travel list. You have a list, right? And you know how good it feels when you cross off something on your list? This one’s an easy check-off. It’s part of your trip package. Many times, a travel professional or a travel supplier will offer you travel insurance as part of the package-purchase process. If the plan looks good, it makes sense to buy when it’s right there in front of you. If you’re looking for a good reason to buy travel insurance early, it’s hard to beat additional coverage at no additional cost. Breakout Box – What If You Forget To Buy Within The 15-DAY Window? Unlike other aspects of your travel experience like airfares or hotel-room rates, the price of travel insurance doesn’t increase the closer you get to your travel date. There’s no financial penalty if you wait to buy travel insurance (except for those bonus coverages, of course). So what are good times to buy travel insurance other than in the 15 days after making your initial trip deposit? Studies have shown 50 days before departure is when you start actively thinking about your travel. You start making lists, double-checking arrangements, and ensuring everything’s in order … and that means travel insurance. Buying travel insurance at this time also takes the “panic” factor out of your purchase. There’ll be lots to think about the last week or two before you leave. Buying 50 days out lets you check off one more big thing, and might even encourage you to check off a few more things. If you’re going on a big trip, just about the last time you’ll be thinking rationally about your trip is two weeks before you leave. What are advantages to buying two weeks before departure? You’re covered, so you’ve got piece of mind. You have a clearer view of what the weather and travel situation is like. Be aware that if a named storm is bearing down on your destination you may not be covered for cancellation or interruption if you buy after that storm is named. However, you can still purchase and qualify for the many other coverages in a travel insurance plan - like medical expenses, medical evacuation, lost or stolen baggage. You have a better idea of what your personal situation is like. You may be out of luck if you’ve already been called to jury duty or have had a pre-existing condition crop up, but otherwise you should be all set to pull the trigger on travel insurance at any time leading up to the day before you leave. Procrastination happens. If you don’t buy travel insurance when you make your first deposit, or start thinking about your trip, or when you’re two weeks out, you’re going to wait until the very last minute to buy. Not the ideal time, but here’s why that’s still okay. Berkshire Hathaway Travel Protection lets you buy travel insurance up to 11:59 p.m. on the day before you leave. Think about it: You could have a 12:01 a.m. flight and get coverage at 11:59 p.m. the previous evening. That’s amazing. You booked your travel at the last minute, too. Lots of people jump on a last-minute, spur-of-the-moment bargain fare to some exotic locale. If you’re one of those, it’s nice to know you can cover that impulse trip. You want to get the best handle on weather and other travel conditions. If you’re a sky-watcher, you might want to wait to the last minute to buy. It doesn’t cost any more to get covered the minute before you leave than it does the day you book your trip. Compare that to the rest of your travel, where waiting until the last minute can really cost you. And you’re covered, which is the important thing. If that’s important to you the day you book your trip, it’s going to be 10 times more important on the day you leave. So don’t wait. Get a travel insurance quote today. Chapter 5: Is travel insurance worth it?